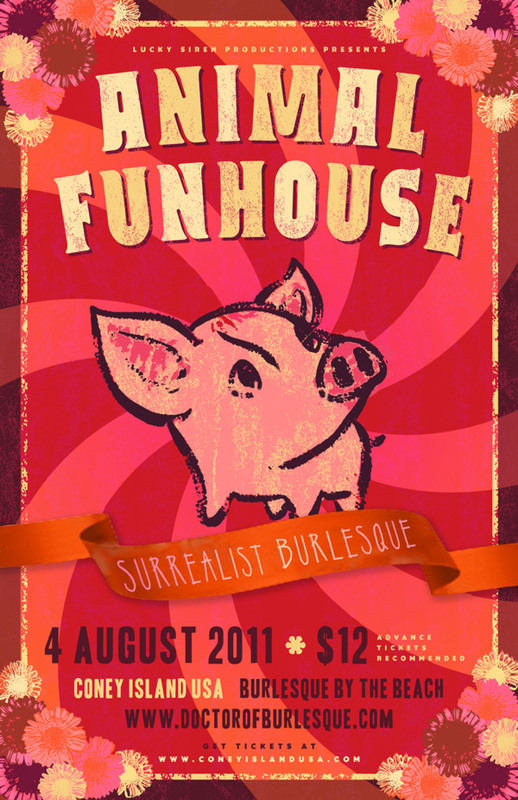 Loosely based on George Orwell’s Animal Farm, “Animal Funhouse” is part experiential tour, part burlesque spectacle, and all surrealist fun. Two different casts appear on separate floors in a phantasmagoria of sights, sounds, and olfactory overload as the audience is invited to participate in the gluttony. A multimedia, inter-arts spectacular, Animal Funhouse involves the audience by sharing first hand, the animals’ journey, as they demand their equality, overthrow the humans and ultimately take over the farm only to discover that the equality they so desperately fought for comes at a rather high price. The epic cast includes: Bambi the Mermaid, BB Heart, Bunny Love, Buttons the Horse (with Gretchen Vitamvas & Twirla), Cheeky Lane, DJ MomoTaro, Dr. Lucky, The Evil Hate Monkey, Glenn Marla, Jenny C’est Quoi, Lefty Lucy, Lil Miss Lixx, Machine Dazzle, Magdalena Fox, Noah D’Klein as Salvadore Dali, Peekaboo Pointe, Rosey La Rouge, Sequinette, Shelly Watson, and Victoria Privates. Produced by Dr. Lucky, Associate Producer Collective:Unconscious. HELP US fund this epic spectacular! 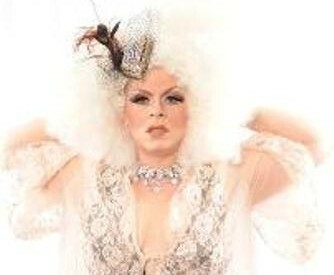 Go to www.indiegogo.com/animal-funhouse to donate and to help spread the word!